The ROCK community is invited to join the EU Covenant of Mayors Investment Forum & Ceremony on 21-22 February 2018 in Brussels, and exchange on climate adaptation to historic contexts, the relation between culture and resilience, and the strategies to improve people awareness of climate change. 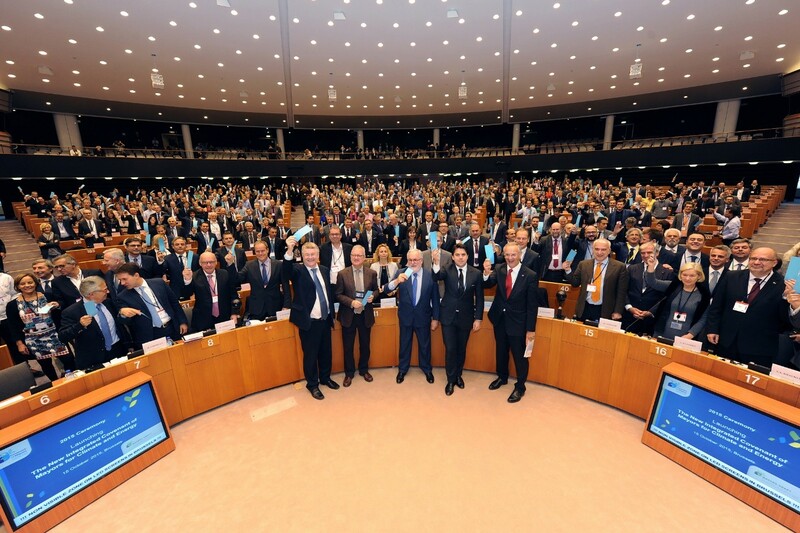 The Covenant of Mayors for Climate and Energy brings together local and regional authorities who voluntarily commit to implementing the EU’s climate and energy objectives on their territory. The initiative started in 2008 with the support of the European Commission, and now counts over 7,000 signatories representing 220 million citizens. Since 2015, signatories pledge to reduce CO2 emissions by at least 40% by 2030 and to adopt an integrated approach to tackling mitigation and adaptation to climate change. All over Europe, mayors have been taking bold measures to offer their citizens a healthy environment, green jobs, and a high quality of life. Each new commitment, new action plan and new measure implemented at local level is a step forward and an opportunity for bringing better quality of life and green growth in municipalities. As the Covenant of Mayors will celebrate its 10th anniversary in 2018, and with the 2020 milestone coming closer, you are invited to the Covenant Investment Forum and Ceremony to be held on 21-22 February 2018 in Brussels. The Covenant Investment Forum (21 February) is an event dedicated to matchmaking between cities, businesses, and financial institutions on the financial engineering for projects in energy efficiency, renewables and smart energy, as well as climate change adaptation. The Covenant Ceremony (22 February) will showcase how local governments develop integrated climate change mitigation and adaptation strategies to improve energy efficiency of buildings, transport or lighting, make greater use of renewable energy, and brace for climate hazards. Mayors will explore how those achievements can be scaled up to help meet or exceed the EU energy and climate objectives. They will have the opportunity to network with EU decision makers and relevant stakeholders, taking part in the world's largest energy and climate initiative of its kind.